ST. PETERSBURG, Fla.—Sebastien Bourdais waited 15 years to win the IndyCar Firestone Grand Prix of St. Petersburg. When he finally got that win, he did so in spectacular fashion. 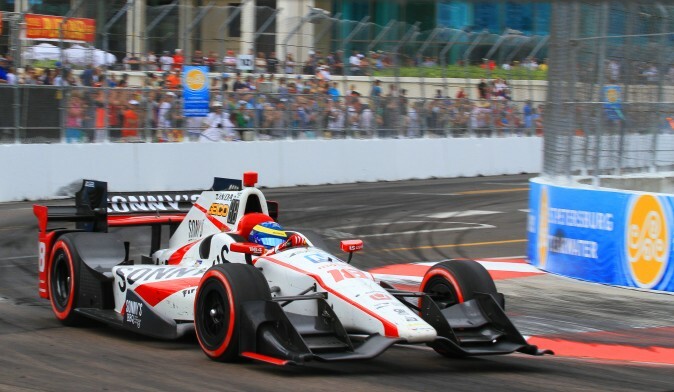 Bourdais, who now lives in St. Pete, started his IndyCar career there in 2003, on a weekend where he started from the pole but crashed during the race. He reversed that pattern in 2017. He crashed in qualifying, which meant he had to start dead last. Thanks to a combination of luck, speed, and strategy, the 38-year-old French native ended up leading 69 laps of the 110-lap race, wining by ten seconds. Team owner Dale Coyne called an alternative strategy, calling Bourdais to the pits a few laps before the rest of the field, and it paid off when a collision brought a caution shortly after. With the rest of the cars needing to pit, Bourdais went from tenth to second in a lap. Bourdais was second, but he had 2016 IndyCar champion Simon Pagenaud ahead of him. Undaunted, Bourdais reeled in his fellow Frenchman, and after six laps of pursuit, made a pass into Turn One to take the lead. Thereafter he was helped by a lucky miscommunication. Somehow Bourdais got the idea that he had plenty of fuel, and could run flat out. Meanwhile, Pagenaud was conserving fuel, which enabled the Coyne driver to extend a lead. Luckily, Bourdais found out that he had heard wrong and slowed down before he ran out of gas. Though Pagenaud closed in, Bourdais had enough of a lead to make his final pit stop and come out in second. He resumed the lead when Pagenaud pitted, and was uncatchable for the final 27 laps. 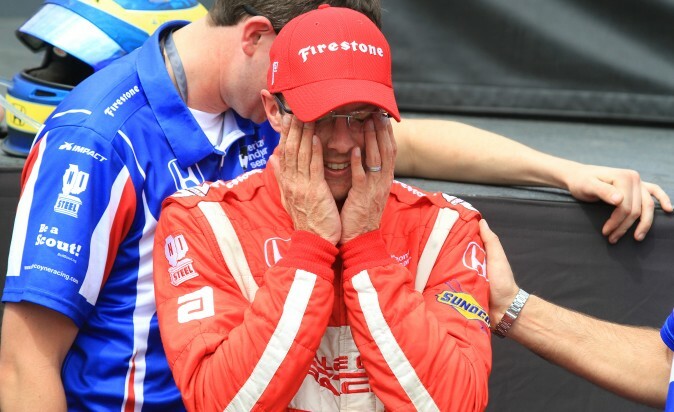 Bourdais was in tears during the podium ceremony. 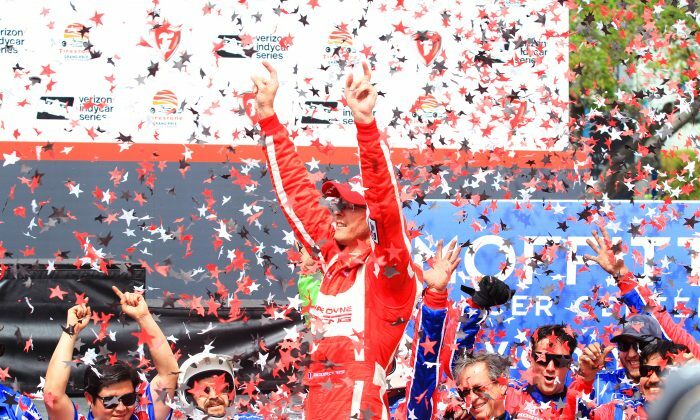 Despite being no stranger to wining (he is sixth among all-time IndyCar winning drivers) this win meant a lot to him. Bourdais was a four-time champion in Champ Car World Series (an earlier incarnation of IndyCar.) He tried Formula One, he tried sports cars, but he finally returned to IndyCar, but his old success didn’t come with him—he scored only four wins in six seasons. In an attempt to revitalize his career, Bourdais returned to Dale Coyne Racing and tried to reassemble his old crew. He seemed to be having some success—until his qualifying crash sent him to the back. Bourdais was despondent. 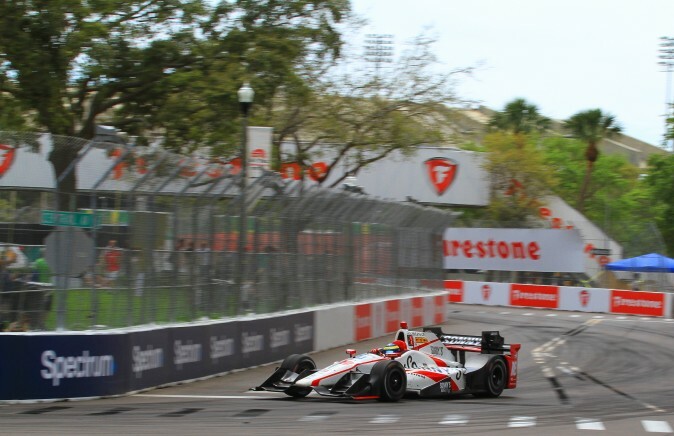 Team owner Dale Coyne joked, “We took his shoelaces way so he wouldn’t hang himself.” Coyne and Bourdais knew that St. Pete is one of the worst tracks for starting form the back—there aren’t enough chances to overtake on the short, narrow course lined with unforgiving concrete walls which penalize any excesses of enthusiasm. “There’s not much you can do here,” Bourdais explained. “Unless you’re going to really be creative or have the biggest and best luck ever,” winning from the back would be pretty much impossible. His team showed the creativity, he got the required visit from Lady Luck, and he solidified the advantage by driving a very fast and flawless race. He said he felt that this weekend was in some way redemption for 2003. When Sebastien Bourdais, driving for Dale Coyne Racing, won the 2017 Indy Car season opener, the Firestone Grand Prix of St. Petersburg, it represented a series of homecomings. Bourdais, a native of Le Mans, France, relocated to St. Pete to pursue his North American racing career. He started in the current incarnation of IndyCar in 2011 with Dale Coyne Racing, then moved on, only to return for the 2017 season. He brought back with him his two favorite engineers, Olivier Boisson from KV Racing where Bourdais scored four wins, and Craig Hampson, with whom Bourdais teamed up for 31 wins and four titles in the Champ Car World Series in 2003–2007. For the former Frenchman, winning in his new hometown, in front of his friends and family, was a thrill in itself. 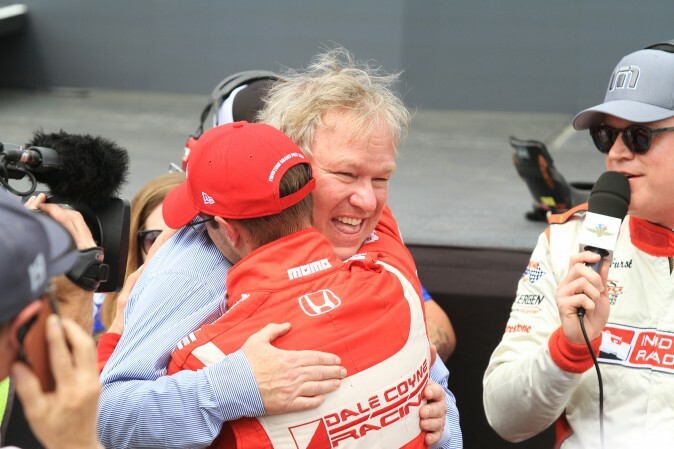 Add to that the joy of returning home to the team which got him his second start in IndyCar, and to the family of fellow racers who helped him find success in both Champ Car and IndyCar, and bring it all to a head with a last-to-first victory, and Bourdais’ tears on the podium make sense. IndyCar visits another challenging street circuit for its second race of 2017, the Toyota Grand Prix of Long Beach on April 9. 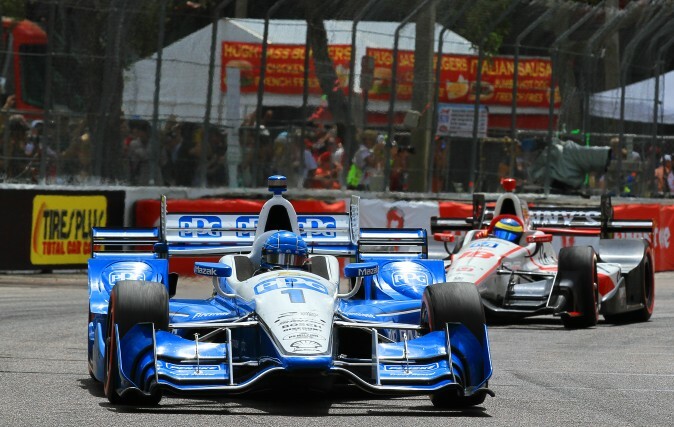 Tickets and information are available at the Toyota Grand Prix of Long Beach website.